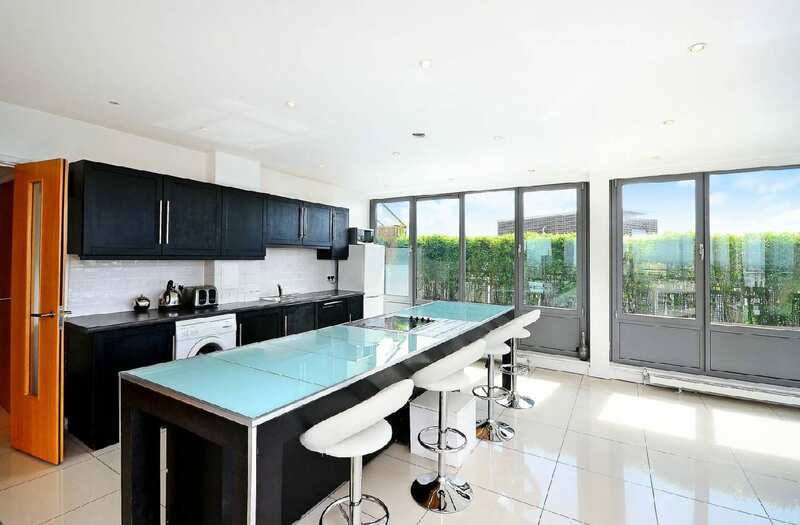 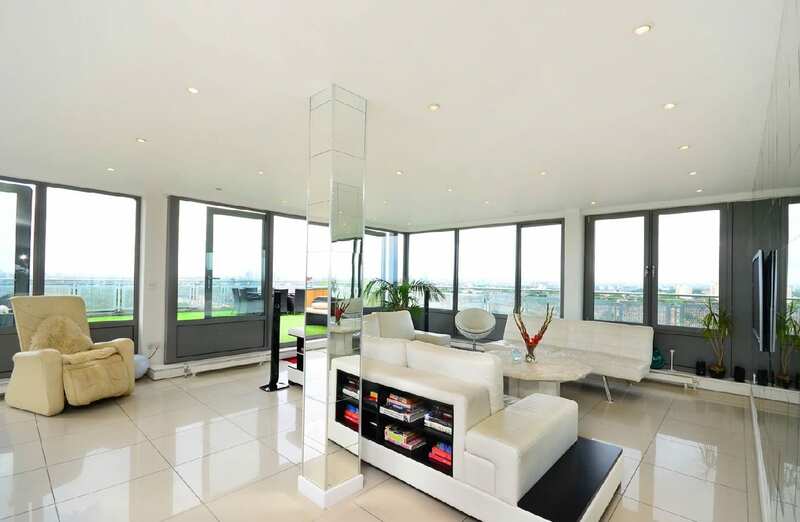 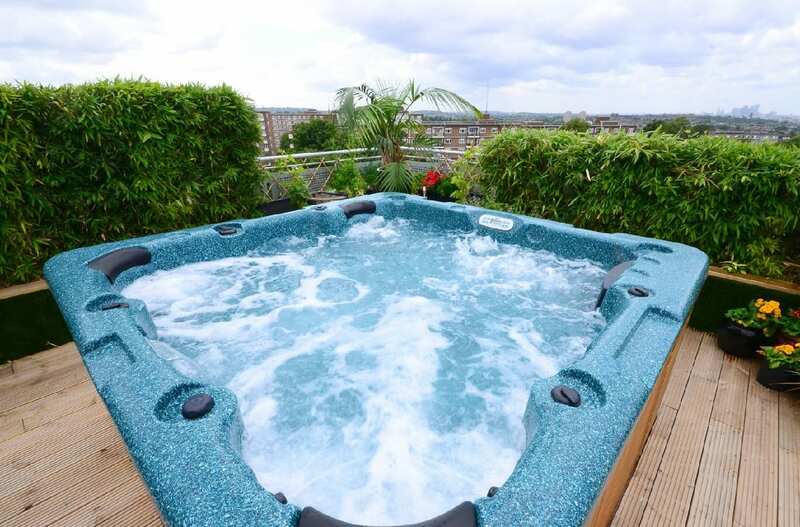 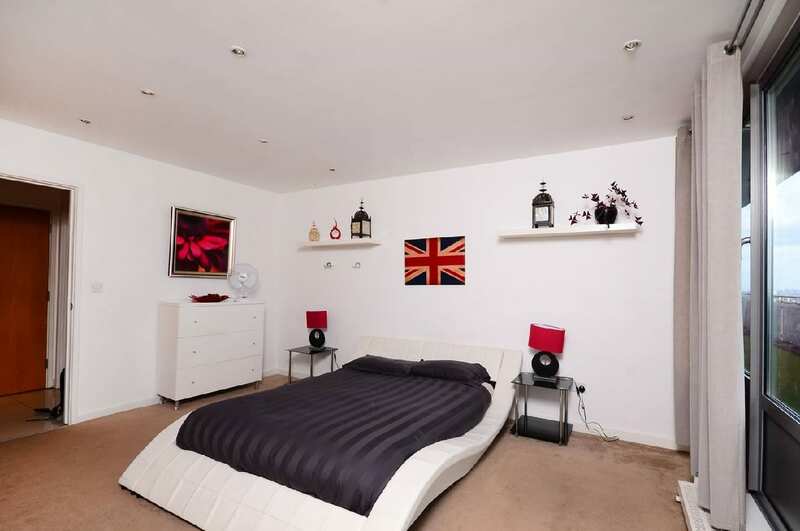 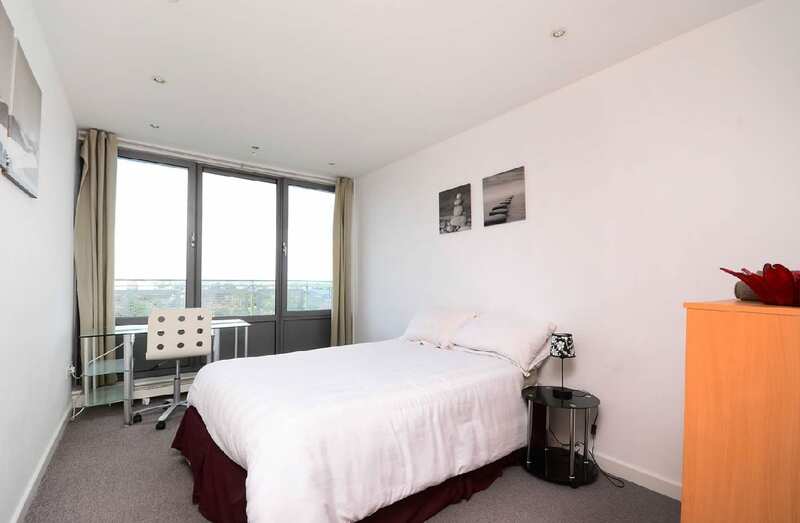 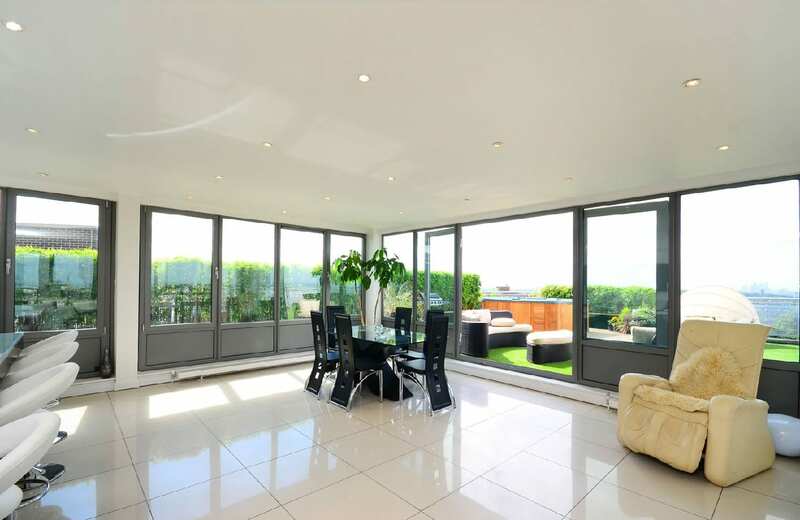 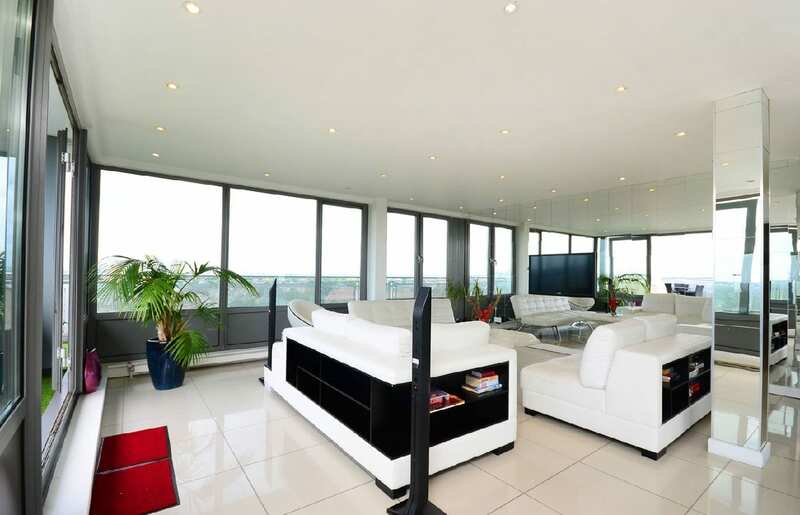 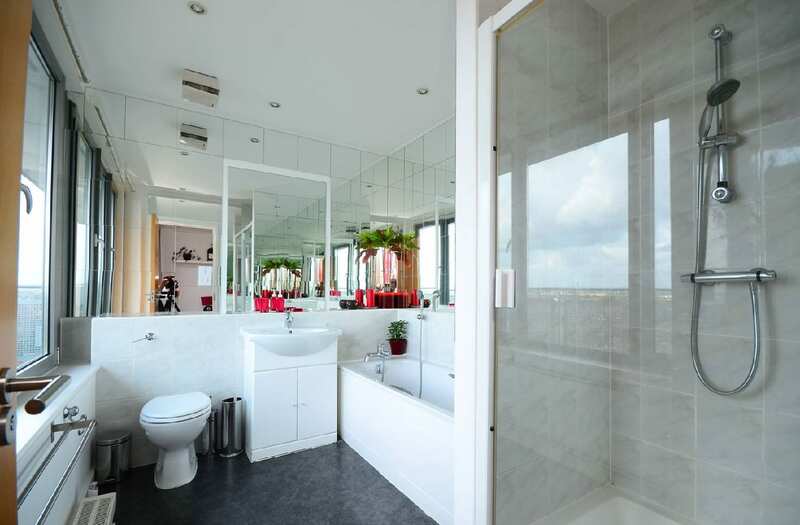 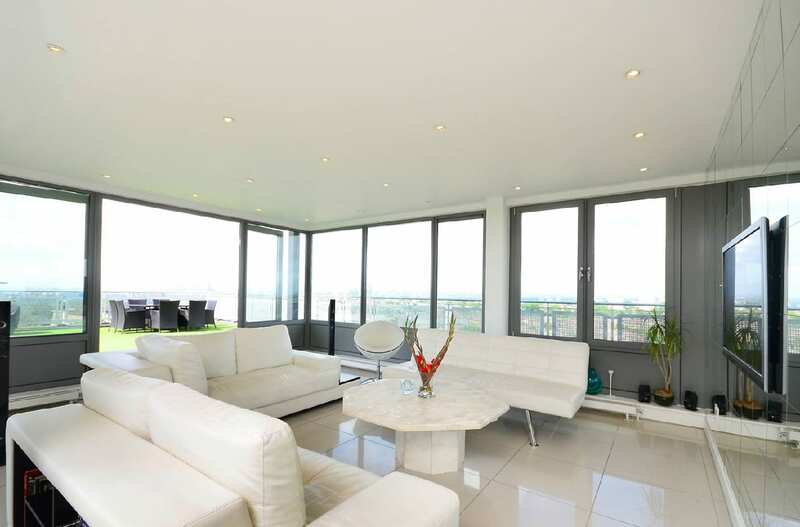 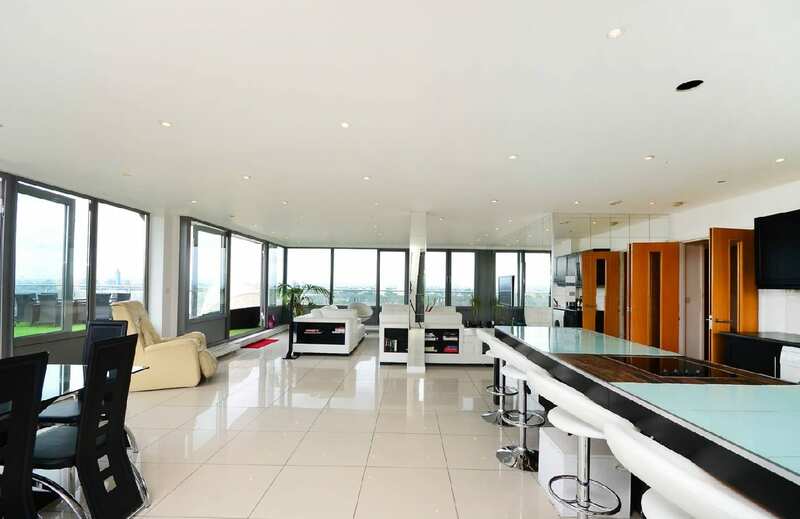 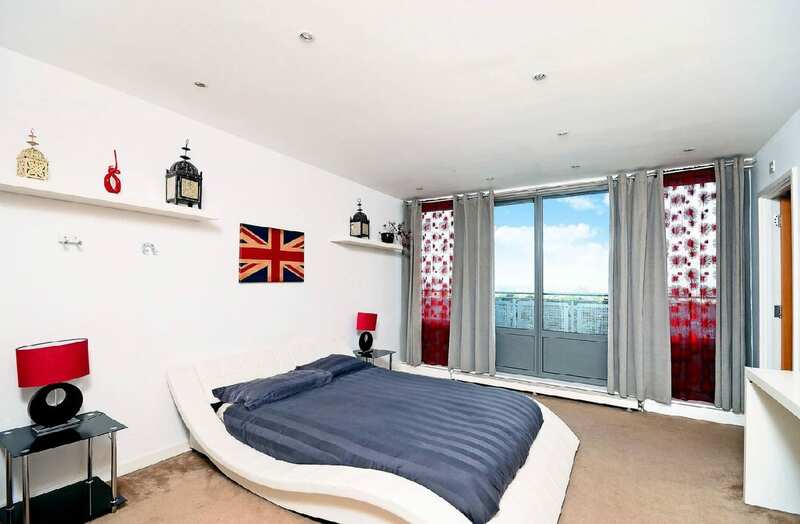 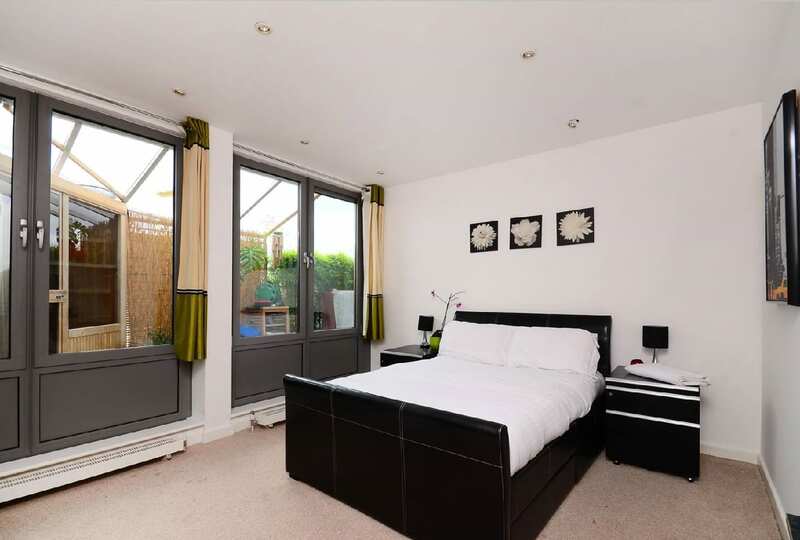 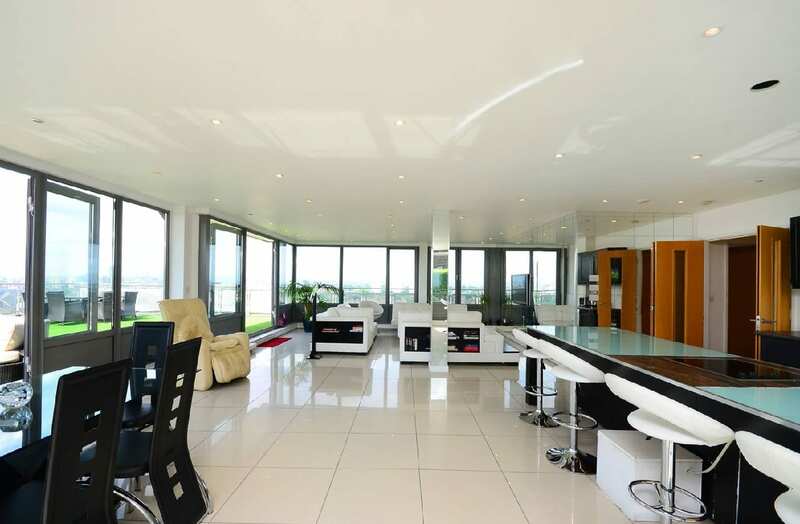 A chic and spacious three bedroom penthouse apartment with Jacuzzi and rooftop terrace offering panoramic views. 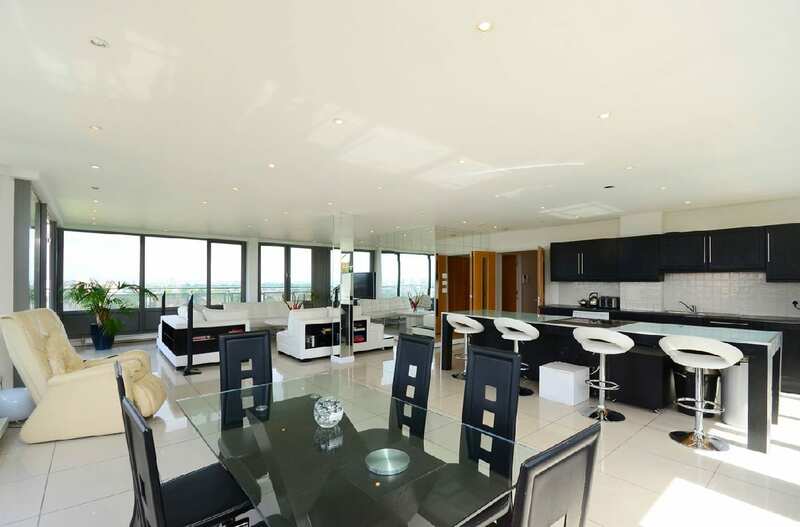 Contemporary open kitchen. 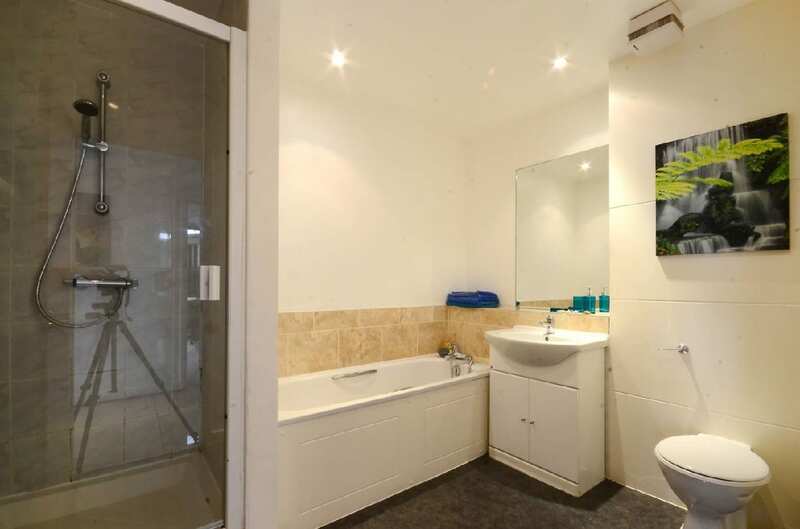 Master bedroom with bathroom.